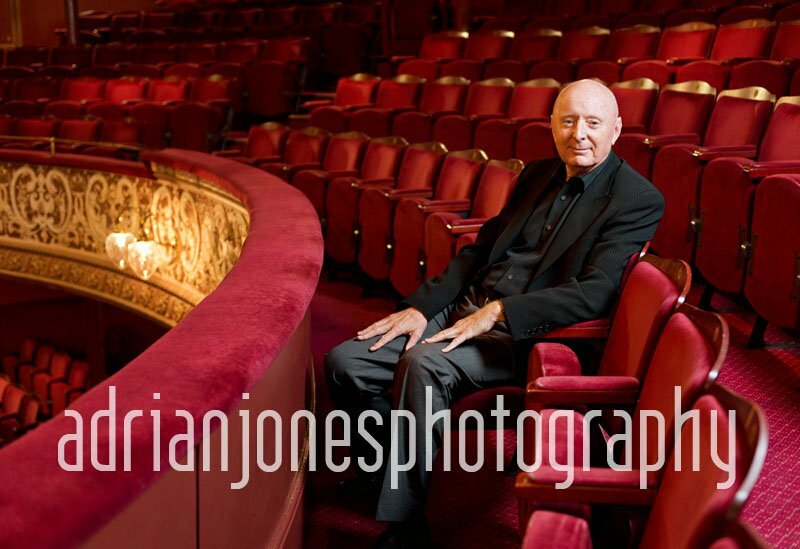 Jasper Carrott is a bit of a legend in Birmingham – an amazing comedian, actor & television presenter. When I photographed him on his latest ‘Stand Up & Rock’ Tour I knew I wanted to capture something striking, something artistic. I have always classed my style of portraiture as emotional & editorial & I am a huge fan of those portraits you see in the Sunday supplements – The Times & The Observer. Always so striking & original & they seem to capture something of the subject that is special, different to their public persona I guess. When I photograph a celebrity I always Google them first & have a look at all the previous images they have, then I try to do something unique. After all, why just copy what has been done before? 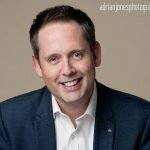 The Grand Theatre in Wolverhampton is a gorgeous building & one thing I was keen to create was a real environmental portrait – not just a standard headshot of Jasper. I already saw this image in my mind weeks before it actually happened. I envisaged those beautiful lines of theatre seats, all lit beautifully & the ornate sections of the interior. The sweeping balcony & that solitary person sitting there, almost having a private moment. I thought this was perfect for Jasper & something very different to what had been captured before. I had photographed Jasper previously when he presented ELO frontman Jeff Lynne with his ‘Walk of Stars’ award here in Birmingham – this time around it was a little less hectic but Jasper was his charming self all the same. He was a great sport & with some studio lights set up I captured an image I am really proud of.